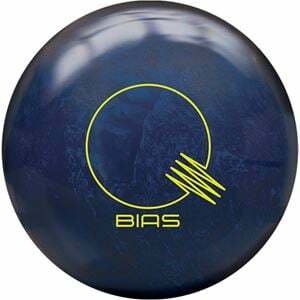 Position yourself to power with the Brunswick Quantum Bias Pearl bowling ball! The Quantum Bias Pearl brings a longer, stronger build than its solid predecessor. Leveraging the ECA-XR coverstock base with a pearl additive, the Quantum Bias Pearl gives fantastic length with a flip straight to the pin deck with breakneck speed and precision. Encased by this new coverstock is the tried and true Quantum Mushroom High RG Asymmetric core. Each weight has its custom variation to deliver a specifically tailored, precise core dynamic to ensure consistency no matter the ball weight. We may be a tad Biased, but we loved the Quantum Bias Solid so we made a longer, stronger version. Our ECA-XR Pearl coverstock combined with the Quantum Mushroom High RG Asymmetric core gives strong hooking motion with excellent pin carry on medium lane conditions. The Quantum series has been designed with 3.5 times more coverstock for improved durability, performance, longevity, and incredible hitting power. 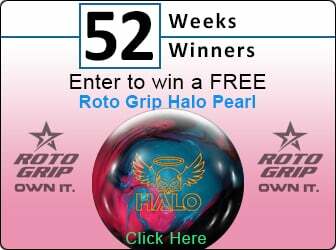 The enhanced Coefficient of Restitution results in the pins flying faster for greater pin action and more strikes. Clean your ball with Brunswick’s Big B Bowling Ball Cleaner after every use to reduce oil absorption.